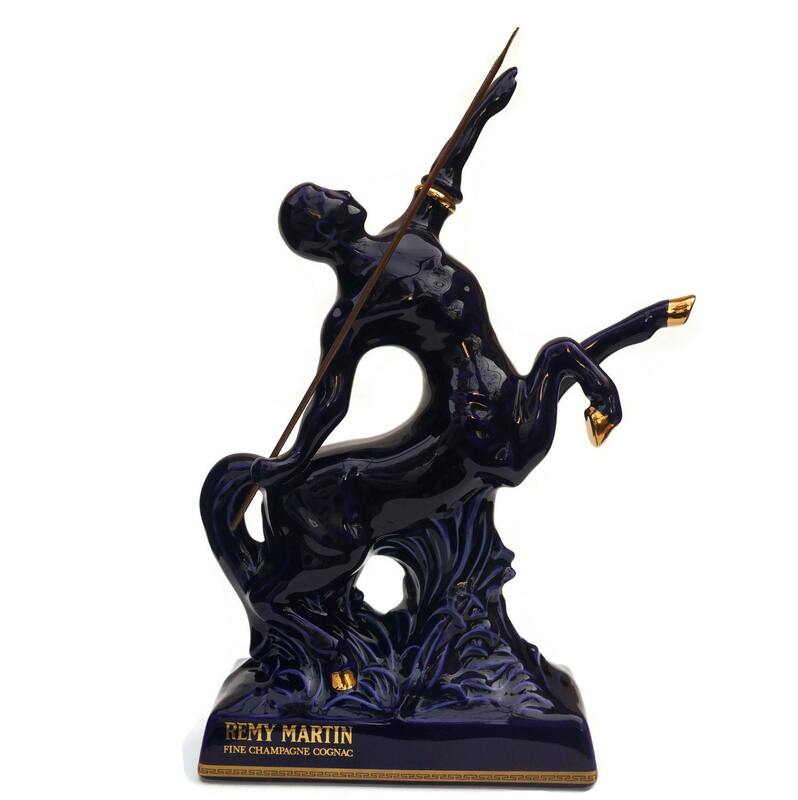 An elegant vintage French decanter for the famous Remy Martin Centaur brand of luxury champagne cognac. 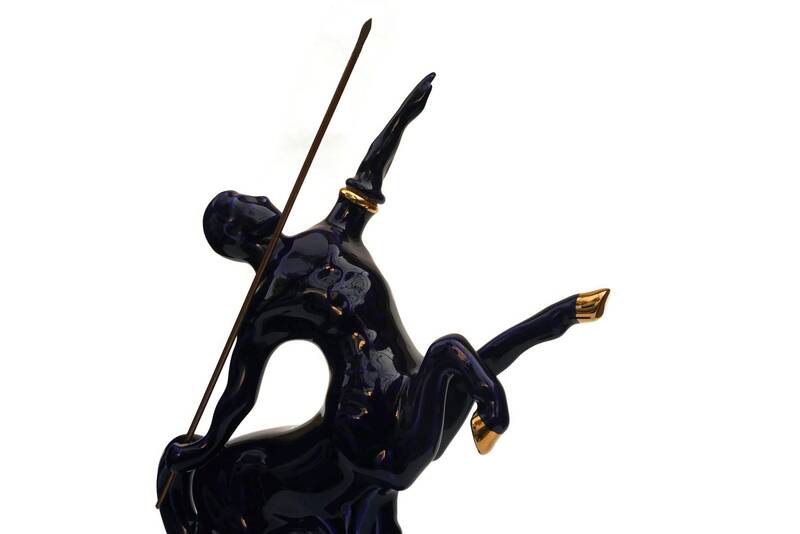 The decanter has been created in the form of a Centaur from Greek mythology and was manufactured by the famous Bernardaud Porcelain company in Limoges, France. 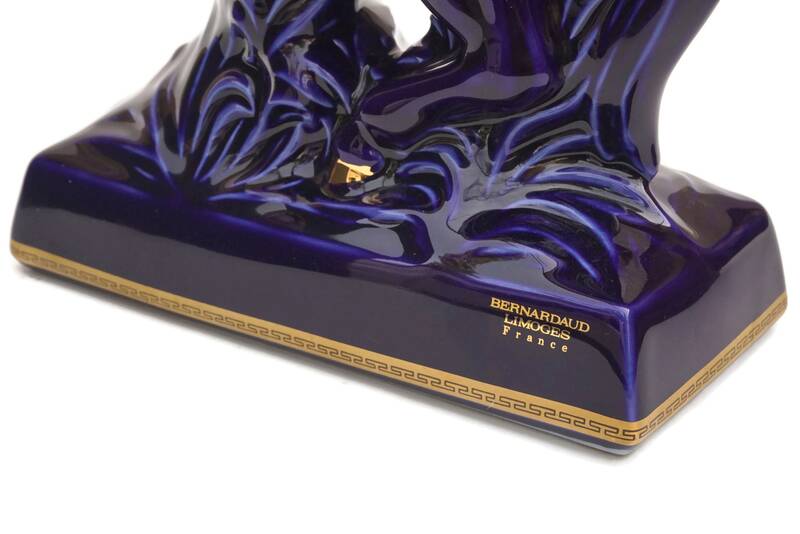 The collectible bottle has been decorated in a deep shade of cobalt blue glaze with gold accents. 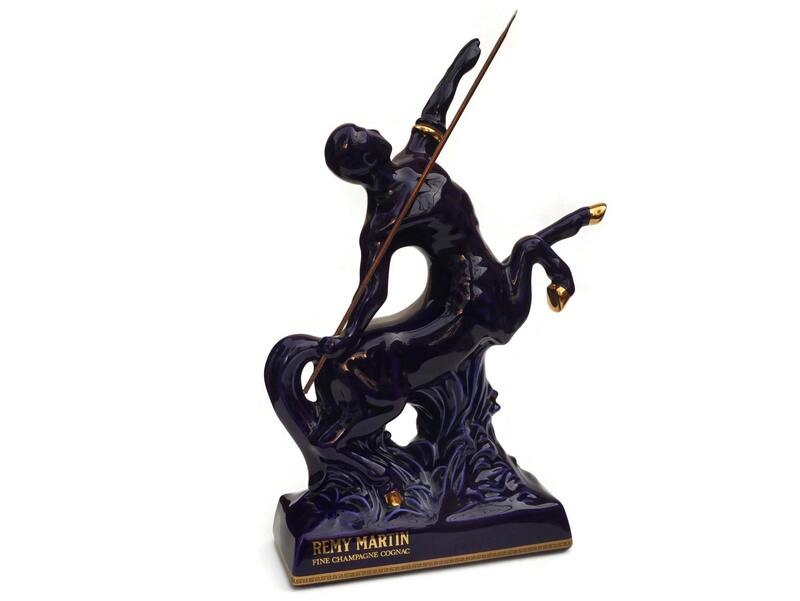 The figure holds a metal spear in one hand. 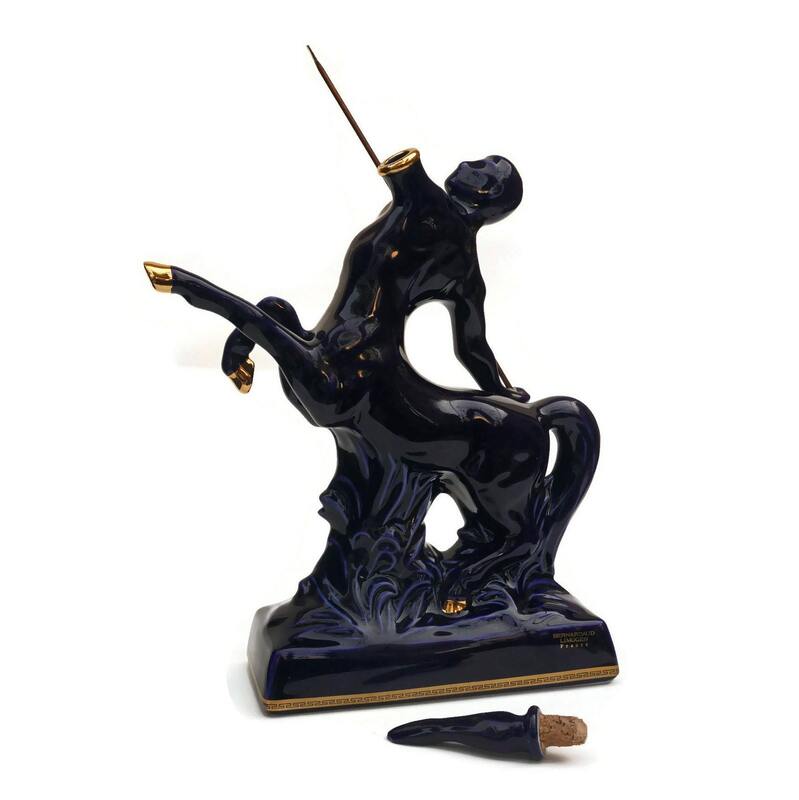 The figure's left forearm serves as the stopper and has a cork base. 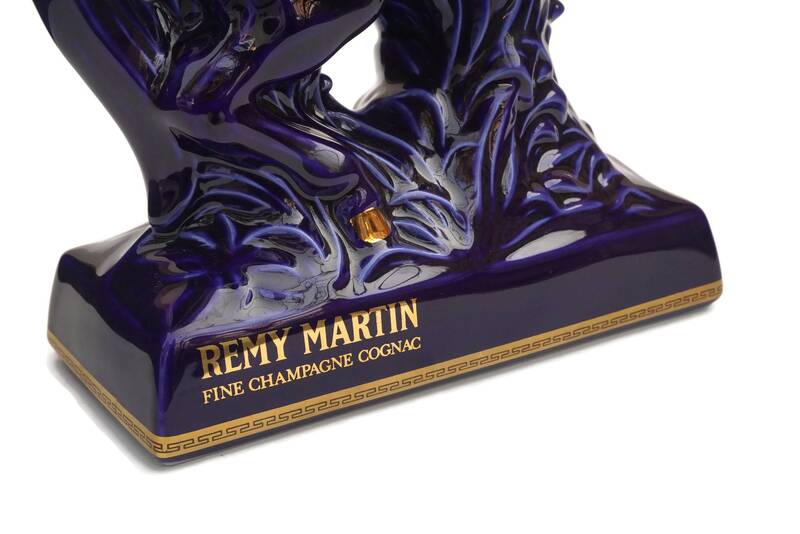 The bottom of the decanter features the Remy Martin name and the Bernardaud maker's mark. 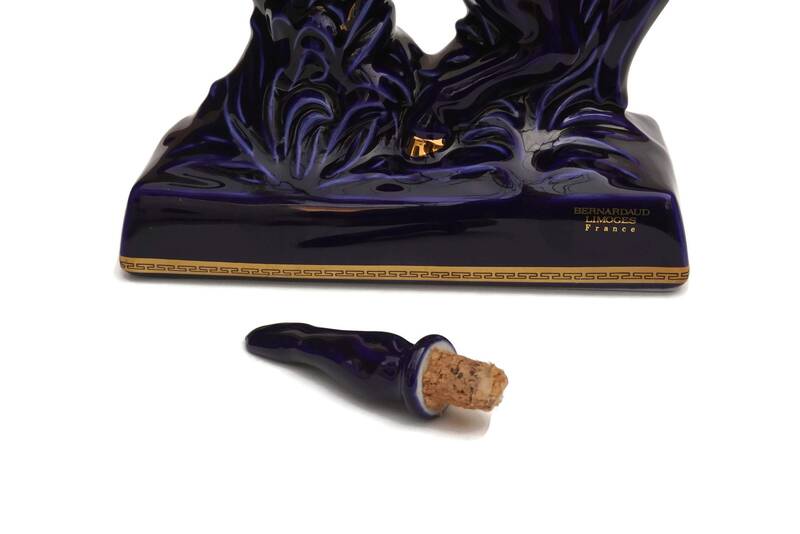 The bottle is sold empty. 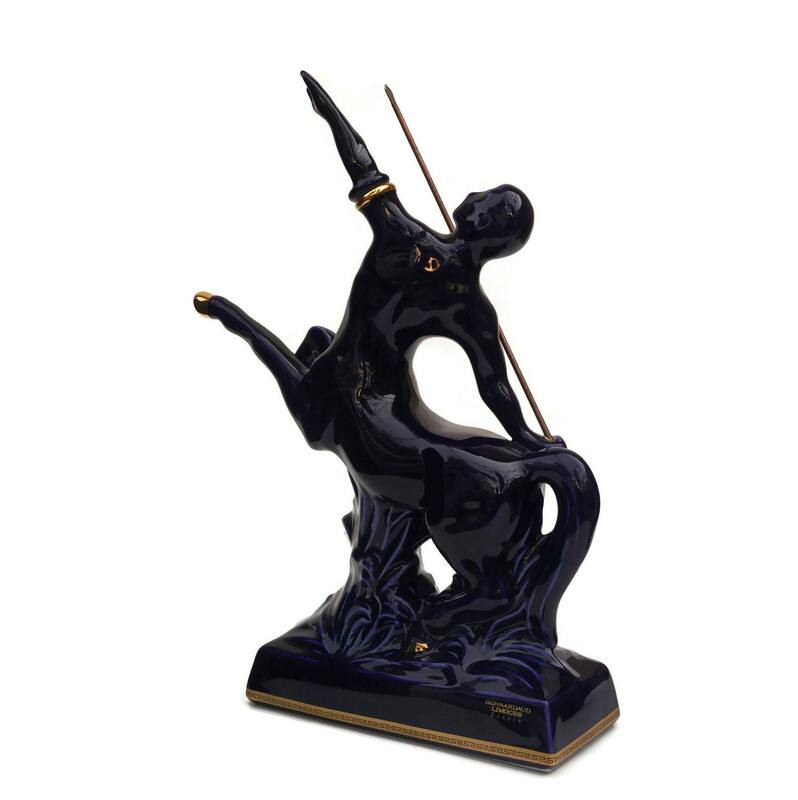 (30 cm x 18 cm x 8 cm). 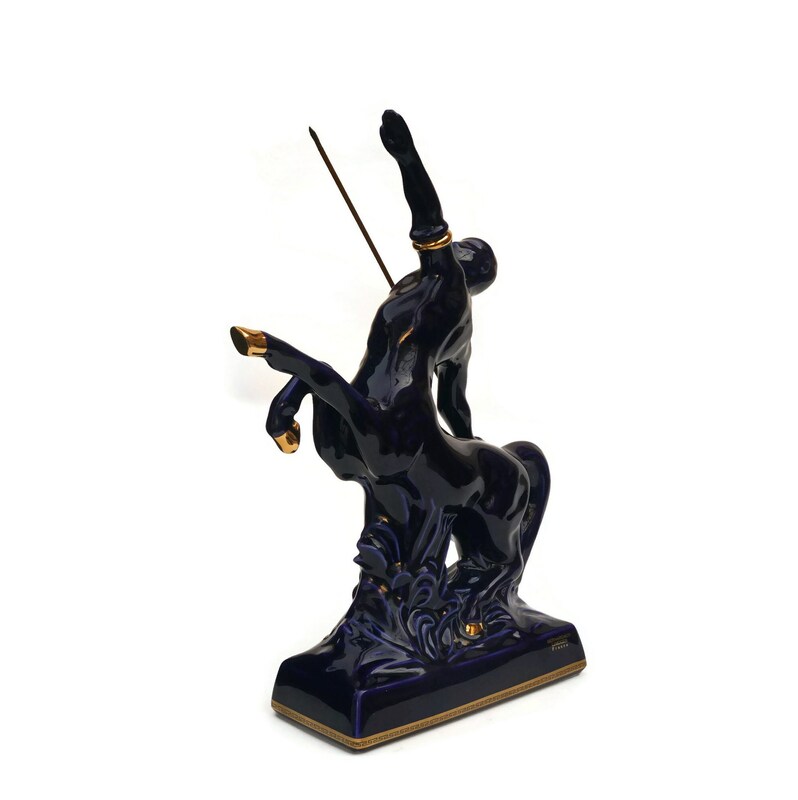 The porcelain centaur figure decanter is in very good condition with light wear to the cork on the stopper. 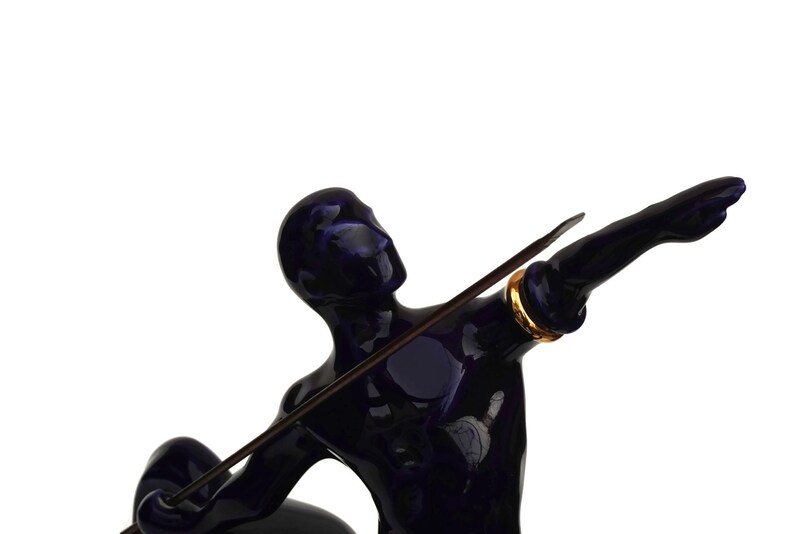 Thee are no chips or cracks.